Historical Epics. I am a huge fan of this genre of movies. There's something totally enthralling about seeing a major historical event made into a motion picture. The magnificent & vast landscapes, the complex labyrinth of interlocking stories between the various protagonists, the epic journeys undertaken, the rivalry, the loves, the losses. The intense & often massive battles between warring nations/kingdoms. The betrayals, the cruel twists of fate & circumstance. The hero's journey. These aspects are just some of the familiar strands that are evident in John Woo's latest film. Initially a 2 part release in his native mainland China (Total running time 5 hours! ), the still lengthy (140 minutes) international version does deliver the 'goods' as such. The weak Han Emperor Xian allows (Rather persuaded very strongly) his scheming prime minister Cao Cao (Zhang Fengyi) to lead his overwhelmingly massive army southwards to crush the 'rebel' warlords Sun Quan & Liu Bei once and for all. But without really doing his homework properly, he makes that old chestnut of - underestimating your foe - to his eventual downfall. 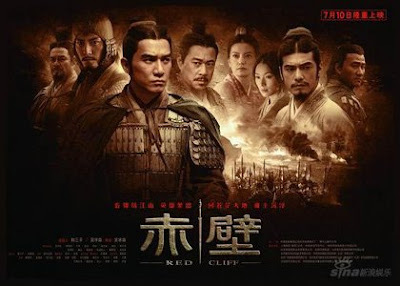 He doesn't count on the strategies of his main counterparts Viceroy Zhou Yu (Tony Leung) & his clever strategist Lu Su (Takeshi Kineshiro) in being able to build any sort of credible opposition against his mighty army. This utterly sweet & poignant movie was the perfect intro to the festival! 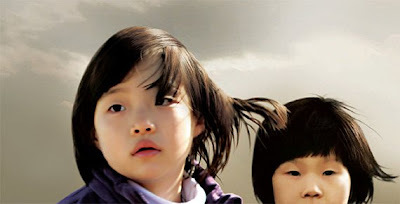 Focusing on a pair of children, sisters Bin-and younger sis Jin, this movie follows them from their seemingly protected world in the city, to a smaller town, then to the countryside as they get palmed off due to various circumstances. Its how they react to their new environments - and the people who populate them - that provide the real magic of this charming tale. At times this film is so completely natural, that you could swear your watching a documentary - not a feature movie. The two young actress playing sisters Jin & Bin are exceptional. Both perfectly natural in their respective roles. The environment they inhabit seems extremely real, as well as the situations they find themselves in. One of the best decisions the director made was to focus on the childrens point of view first and foremost. With all the adult roles taking a slight backseat, we can chart their journey with far more appreciation of how remarkable & resourceful kids can be left to fend for themselves. Its a point not lost at all in this period in time! Irrespective of the minor detail that its a foreign language, subtitled movie, this movie is one that is a great pleasure to watch. You do become engaged with just how well these two sweet kids rise to the various challenges that they face in their journey of discovery about the wider unknown world that awaits them.